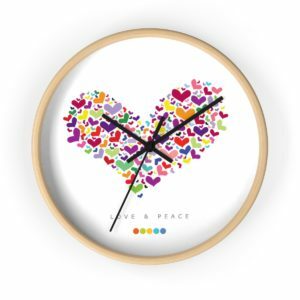 Add more Love & Peace into your home. 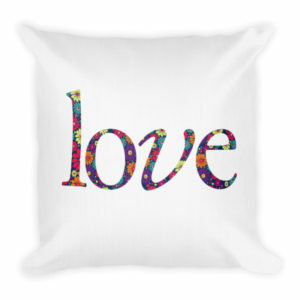 The decorative pillows can be used as regular cushions or accent pillows. 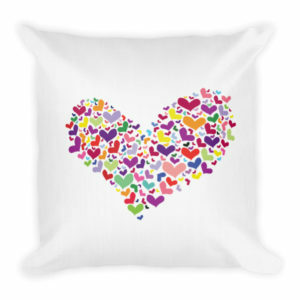 The backs of these pillows are also printed, with solid warm gray color, so they can be used to round out your display. 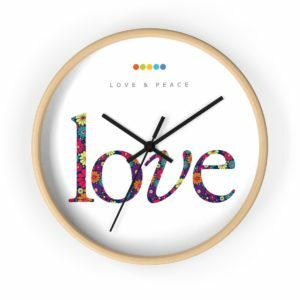 The wall clocks come with wood frames in three colors for easy mix and match. Happy decorating.